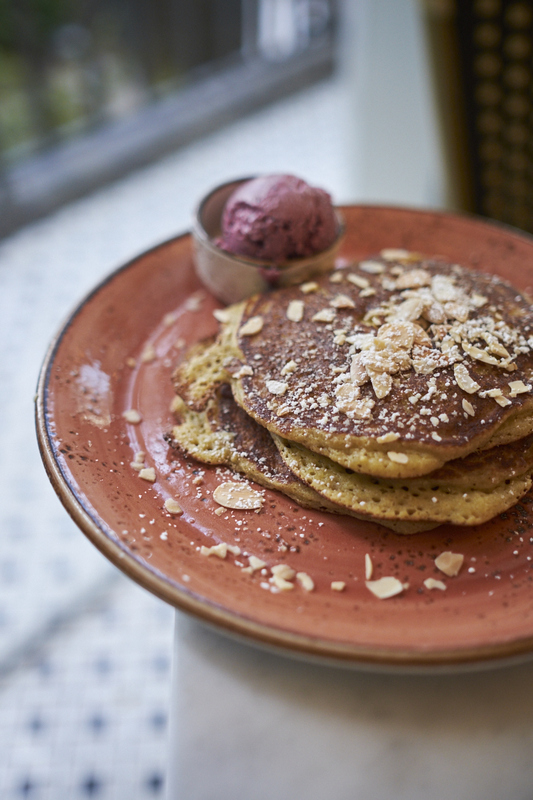 “Lemon Ricotta Pancakes” – with almond blueberry butter. True story: these are the best ricotta pancakes I’ve ever had, hands down. I had them at FIG almost three weekends in row recently, and would happily have them every weekend if I could. They’ve got that wonderful “fluffy pancake” consistency and they’re not too terribly sweet – which to me means “go ahead and eat the whole thing”. So naturally I do. They’re also just great for sharing if you want to add a little something fun and exciting to your brunch – who would turn down dessert for breakfast? 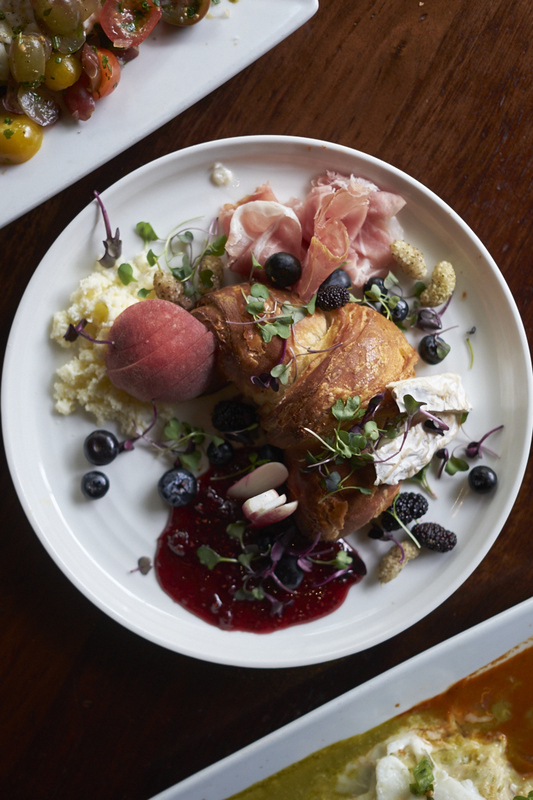 “French Breakfast” – croissant, prosciutto, artisanal cheese, fruit, whipped butter, and preserves. Not only is the French Breakfast at The Misfit beautiful to look at, it’s beautiful to eat. The croissant is fresh and baked in house, the cheese/fruit/prosciutto are all locally sourced from the Santa Monica Farmers Market, and the whipped butter and preserves are also made in house. It’s the absolute perfectly well rounded brunch dish that gives you a bit of everything without having to order 4 separate dishes. I would happily have this meal every morning if I could; it’s not too heavy, it’s simple yet different, and yet still totally worth going out for. PLUS it really is the closest thing in LA to getting to a real French breakfast! “Chilequiles Rojos Con Huevos” – crispy tortillas, salsa roja, two over-easy eggs, queso cotija, crema fresca, cilantro, red onions (add carnitas for extra). If anyone in Los Angeles can do chilequiles, it’s Mercado. 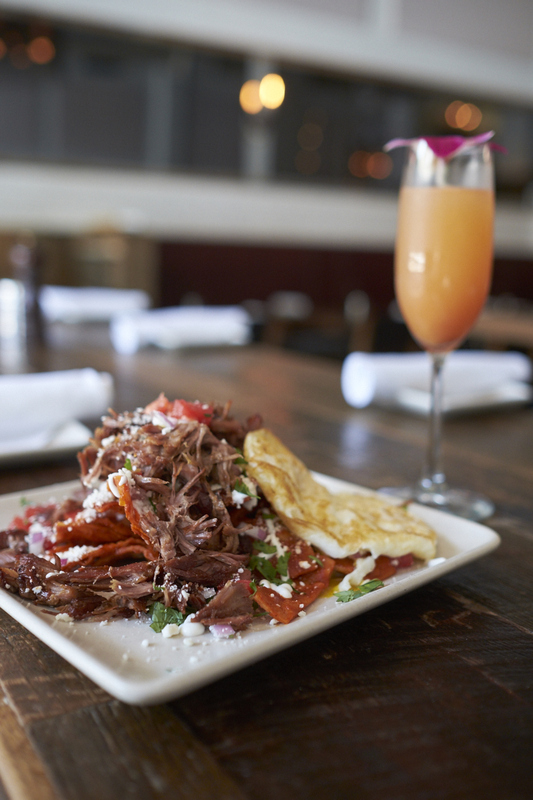 But add the best carnitas in town to one of the best brunch dishes in town and you’ve got a meal made in heaven! My go-to meal at Mercado has always been the nachos with carnitas, but there’s something really special about having the chilequiles for brunch – especially since you can only get them on Sundays. The chilequiles are the absolute perfect consistency; they’re not too soggy, they crunch, they’ve got a little spice, a little cream, and they’re topped with perfectly cooked over-easy eggs. Carnitas can be added for $5 extra, and trust me you don’t want to miss out on that opportunity. 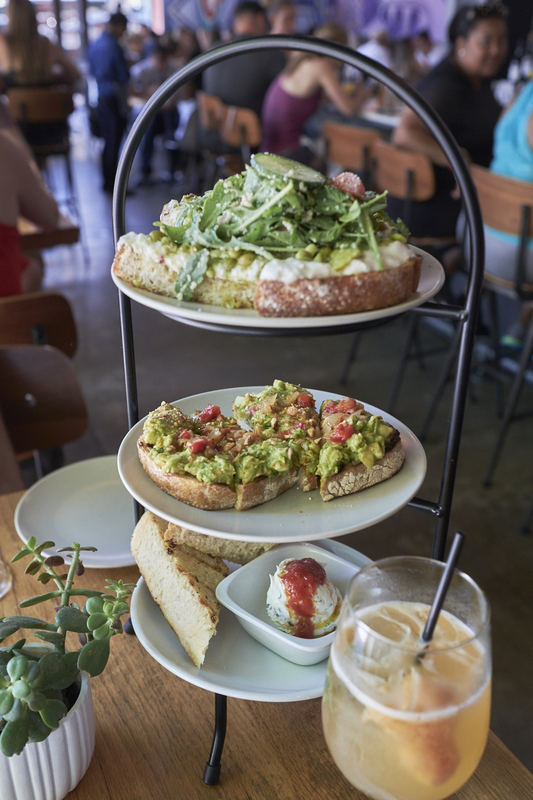 “Toast Tower” – rosemary focaccia, burrata toast and avocado toast. What about “toast” and “tower” doesn’t immediately scream “order me”. If you’re looking for the perfect place to do a little carb-loading, The Independence is your place and the Toast Tower is your meal. I love that each toast is a made with a different bread with a different topping; it makes it easy to share between a few people, but I wouldn’t necessarily judge if you decided to eat it all for yourself. (It is possible and totally acceptable.) 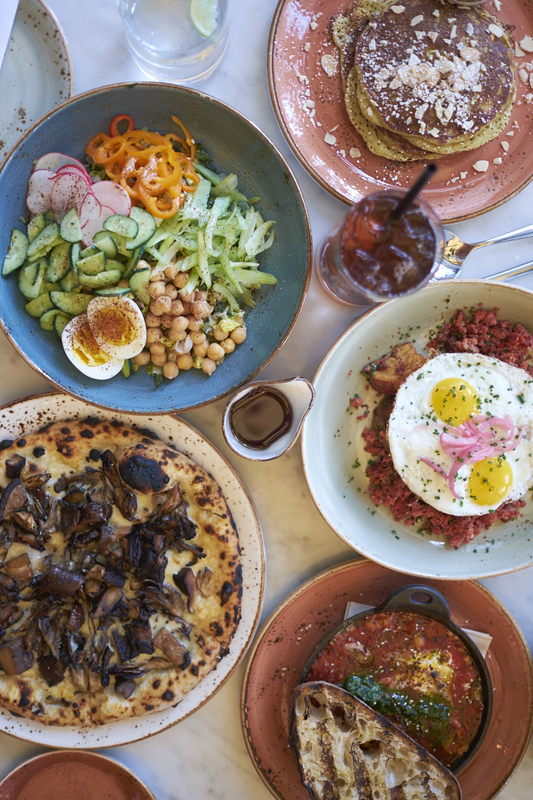 These toasts practically epitomize brunch in Los Angeles, and this definitely has to be one of the most fun dishes I’ve ever ordered! Disclosure: this post was created in partnership with Downtown Santa Monica, but as always these are genuine opinions and belong only to me. Thank you for supporting the wonderful brands/companies who support and allow me to bring you fresh and community driven content on the reg! Previous postTHE BEST YELLOW DRESSES FOR SUMMER Next postDENIM + VINYL. STILL COOL FOR THE SUMMER.